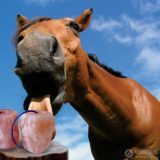 This article is about to that How the Himalayan Lick Salt is useful to the Horses. 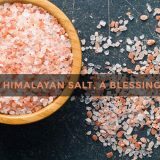 If you want to Buy Himalayan Lick Salt. 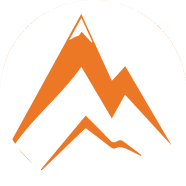 So you can buy from the Unique Mineral of Pakistan. Salt such as potassium, magnesium, and chlorine are present in body fluids. They are responsible for the transmission of electrical impulses in the body, the work of muscles, for the maintenance of water-salt balance in the body. Most horses usually get the necessary amount of electrolytes from their diet (with a balanced diet). The exception is sodium chloride. Therefore, it is often recommended to add one or two tablespoons of salt per day to a meal, or to allow a horse to Lick Salt. Horses competing and traveling should receive commercially produced electrolytes to compensate for losses from sweat. Himalayan Salts Lick can be added to water, food, or given in a special syringe. If you give daily feeding for sport horses with electrolytes already in its composition, which is easy to find out by reading the list of items on the can, then there is no need to add electrolytes. It is enough to hang salt in the stall. In the summer, if the horse sweats very much, it is necessary to give additional electrolytes. 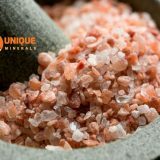 Himalayan Salt Lick with electrolytes and vitamins already in their composition are on sale. Make sure the horse licks them regularly. If a horse Licks Salt licorice too much, its legs may become swollen, as salt retains water in the body. 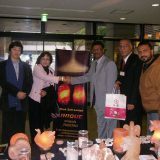 Do not be afraid, remove the salt for a while, until the swelling is gone, and then return. Most likely, the horse will come closer and calm down. Unfortunately, about 5% of horses have a tendency to laminitis, they are at risk. The causes of laminitis have not yet been established, although it is clear that this is due to metabolic problems. But there are known predisposing factors for its development. One of the reasons, along with the overfeeding, is the abundant drinking of a heated horse. The word “laminitis” is already firmly established in our lexicon, precisely because the term “opoi” is not the absolute equivalent of laminitis, but is only one type of disease. Yes, horses are watered in the West immediately after work. The risk of dehydration is considered to be higher than the risk of laminitis. I, too, was once shocked by this fact. But what does “immediately after work” mean? In the West, a horse is brought to the stall, where the auto-drinker is located, only when, after pushing off, the heart and respiratory rhythms are fully restored to the physiological norm. Consequently, the risk of opoo is reduced tenfold. You must admit that we often neglect to push off and put a hot horse in the stall. But even while the horse is hot, in the West it is customary to give it a few sips of water every 5-15 minutes. It is also believed that nothing will happen even from a couple of liters. As a representative of the progressive part of the European equestrian community, I would have to say that you can and need water. I understand everything, but to be honest, I myself always insure and sing our horses fully only 20-30 minutes after an active movement. Just scared that my horse will be among those 5%. Therefore, decide for yourself whether to water or not to water. We have a stallion in the stable, he stands at the very end of the passage, in the far stall, away from the mares. During the distribution of food, he yells, shines, kicks into the walls so that he “turns on” the whole stable, everyone starts to get nervous, and these are thirty-five horses, many pregnant. We feed well, he is clearly not starving, punishment does not help. How to wean him from a bad habit? This problem is very easy to solve. I do not understand the persistence with which people often try to re-nature itself. Stop punishing him, you cannot change a stallion. Just feed him first, not last. After all, it seems that this is a very dominant stallion, he should be the first to get food, he is probably very worried because of the humiliation to which you constantly subject him, stress and nervous breakdowns in such a situation are inevitable. After all, he thinks about how he looks in front of his herd. I do not know for what reason the veterinarian prescribed this particular drug, possibly with a mare’s lymph sarcoma. During pregnancy, many diseases progress due to changes in the immune status. In any case, dexamethasone will not harm the fetus if the daily dose does not exceed 100 mg. Unlike cows in horses, dexamethasone does not penetrate the placenta.